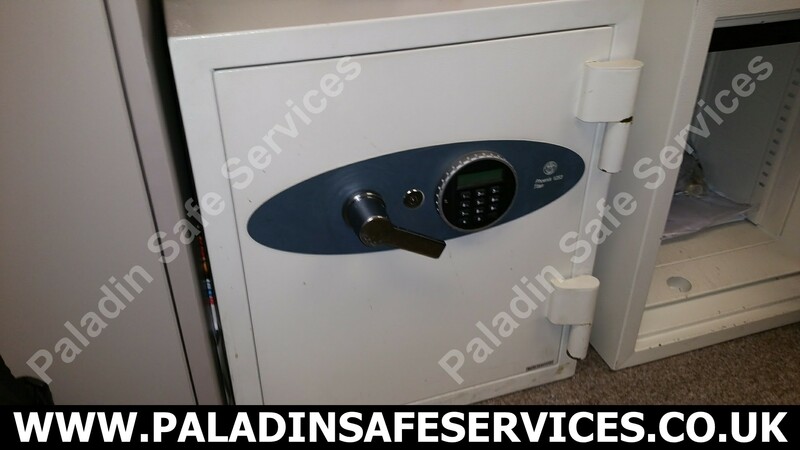 We were called to open this CSS safe for a client in Warrington. The Sargent and Greenleaf electronic lock would accept the combination but refused to open. The failed lock was opened and replaced. 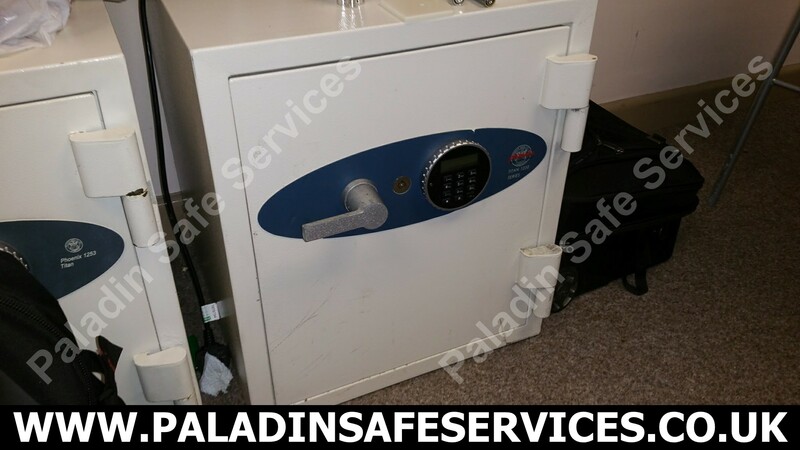 The override key was not available for this Yale safe and the batteries did not have enough power to open it. The business in Skelmersdale needed access to the contents today so we attended site and opened it for them. With a change of batteries it was put back into service. The staff at a store in Liverpool were unable to open this internal coffer of a grade 3 safe as the La Gard keypad had detached from the safe. 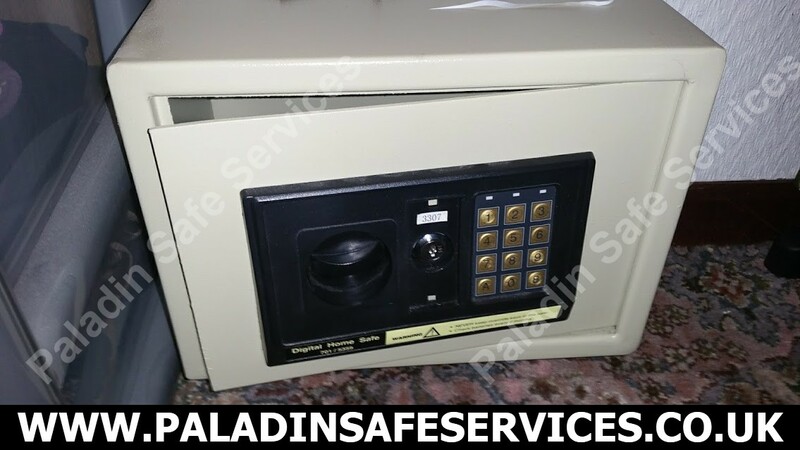 We were able to open the coffer nondestructively and replaced the keypad. Failed La Gard digital lock on this Bluedot deposit safe in Wigan opened through the spindle hole. No loss of integrity to the container and safe back in service after fitting a replacement lock. 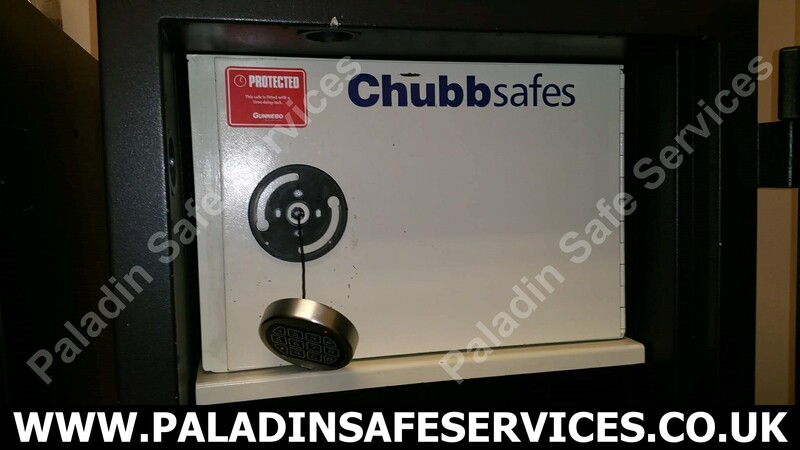 Chubb Sovereign Grade 3 safe wouldn’t open with the correct combination. Failed lock opened and safe put back into action. Having opened a Phoenix Titan 1250 Series safe at a business in Wigan we were asked to have a look at the safe next to it. This one was a Phoenix 1253 Titan for which the combination had been lost. Once again we opened it without damage and put it back into service allowing the customer to set a new combination of their choice. 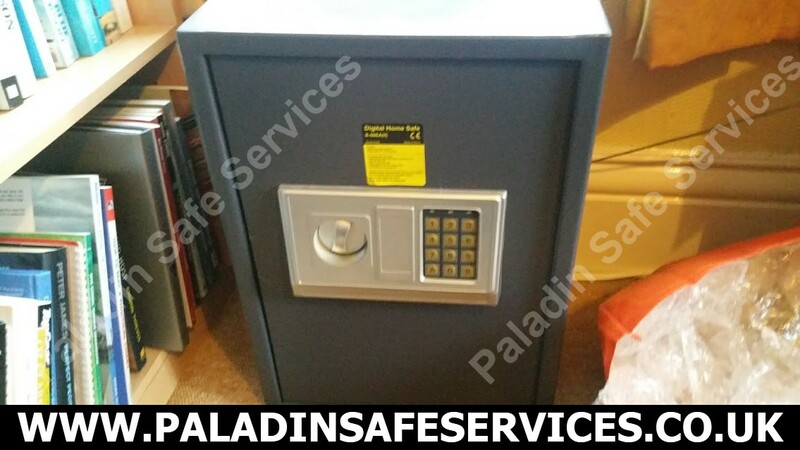 We were asked to open this Phoenix Titan 1250 Series safe at a business in Wigan as the keypad was not responding. 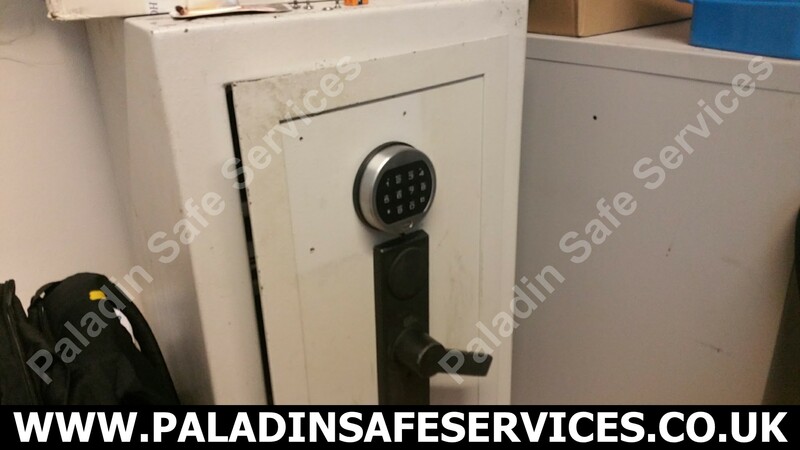 We attended the offices, opened it without damage and put it back into service. 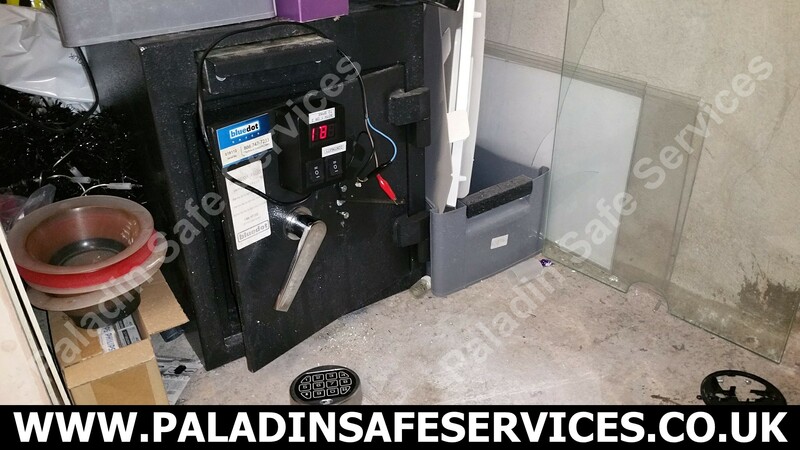 The owner of a nightclub in Newcastle-under-Lyme, Staffordshire could not get his safe open to access the float required to open for business this evening. 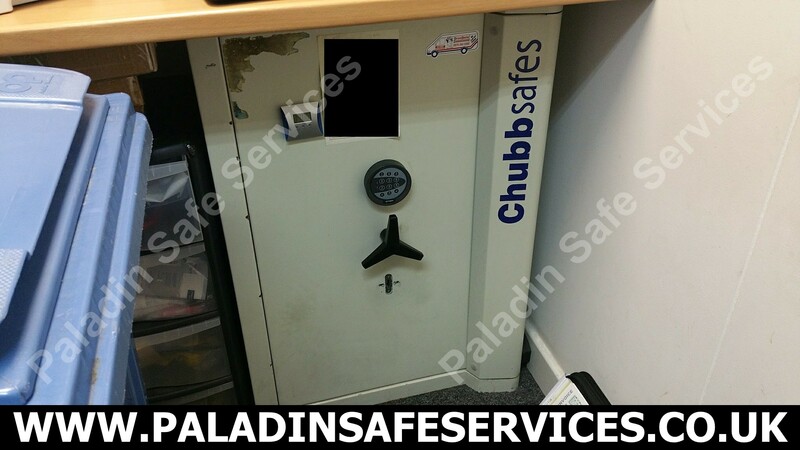 We attended on very short notice and opened the Charvat Neutron Star safe without damage and returned it to service. If you are out having a good time in Newcastle-under-Lyme this evening then you may well have a safe engineer to thank, stay safe and enjoy.